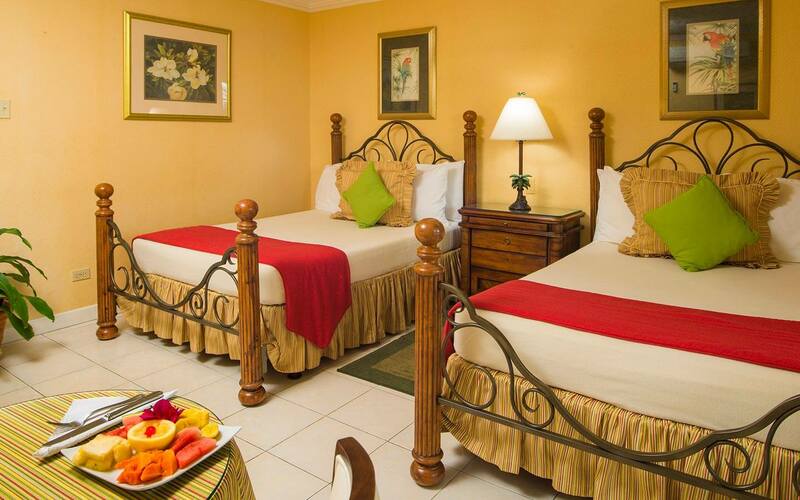 We invite you to enjoy either of our two wonderful Bed and Breakfasts overlooking the Montego Bay Harbour while you explore the beautiful island of Jamaica. 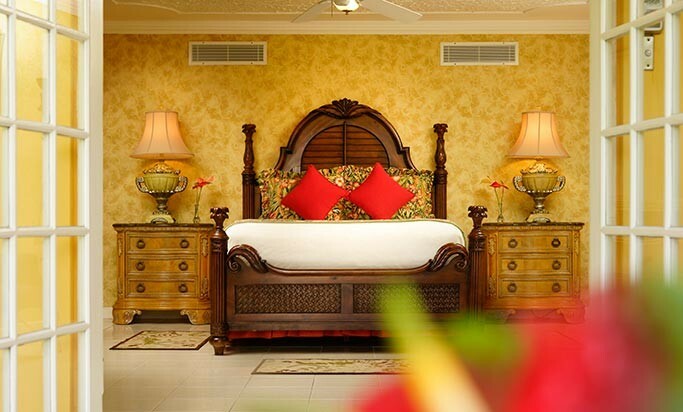 All our rooms have their own distinct character individually decorated and designed with your comfort in mind. 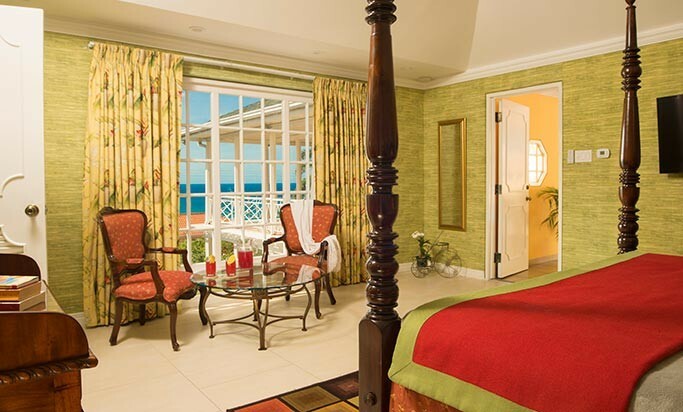 Be captivated by the magnificent view of our majestic mountains sliding into the multi-hued Caribbean Sea. 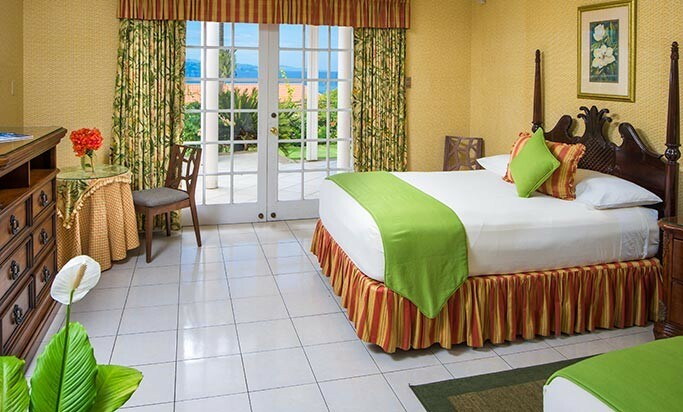 Enjoy Montego Bay hospitality at its best. 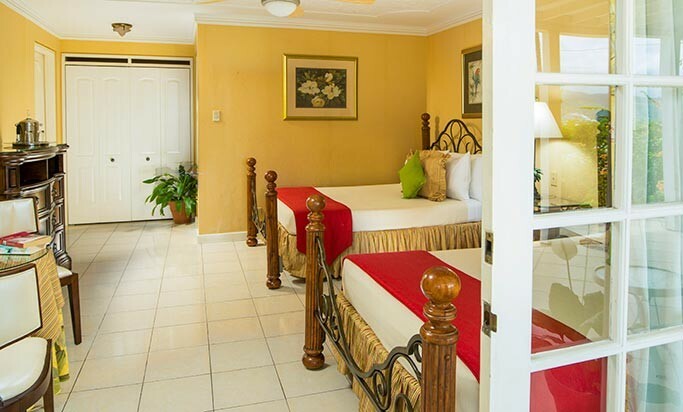 All guest rooms at our Montego Bay Bed & Breakfast feature ocean, garden or pool views, individually controlled air conditioner, ceiling fan, cable TV, private bath with full size walk-in shower or shower and bathtub, in-room phone with free local calls to landlines, refrigerator, ice bucket, safe, iron/ironing board, hair dryer, pool/beach towels, luggage racks and free Wi-Fi. 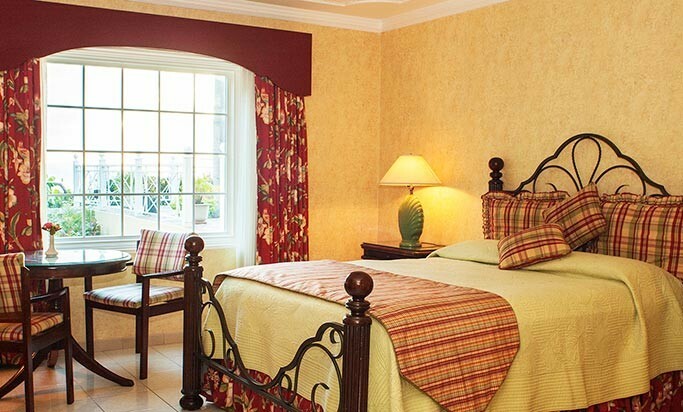 A free and extensive breakfast is provided and pool access and free parking is available for all our guests. 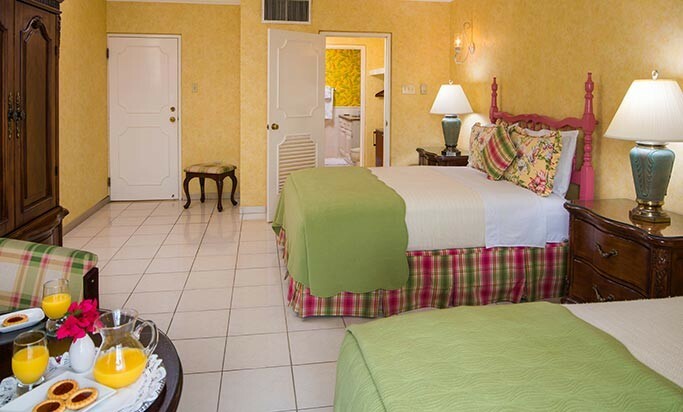 Vacationing at either of our top rated Montego Bay Bed & Breakfasts is sure to please even the most discerning of travelers. Polkerris sits high on a hill with amazing 180 degree views of the ocean and mountains beyond. 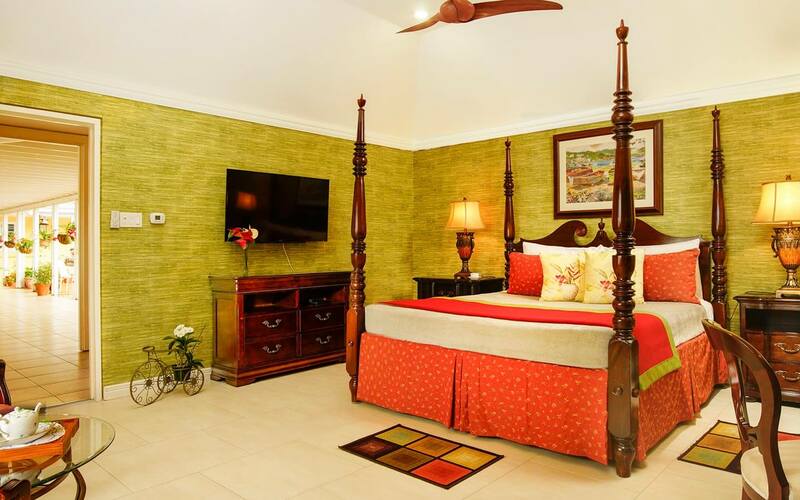 Vista de la Bahia is located directly below Polkerris and has an unobstructed 180 degree view of the ocean and mountains. 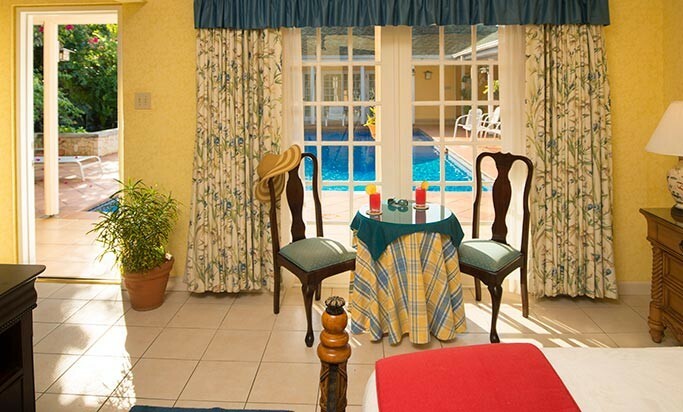 All rooms are at the front of the house and enjoy views of both the garden and the ocean. 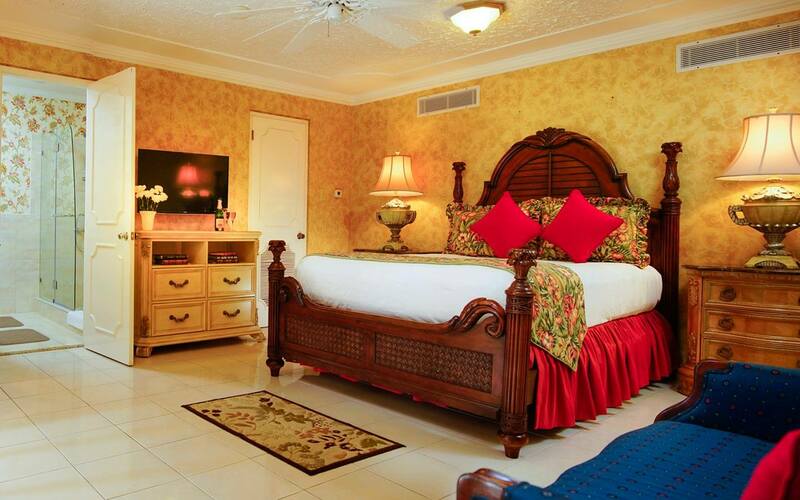 No unregistered guests are allowed on the property. 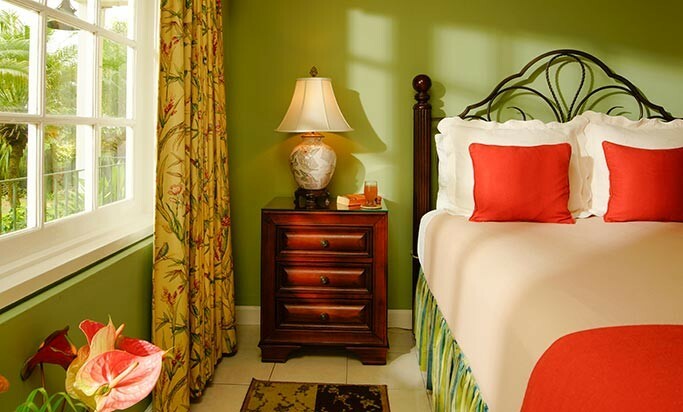 All rates are per night based on single or double occupancy. 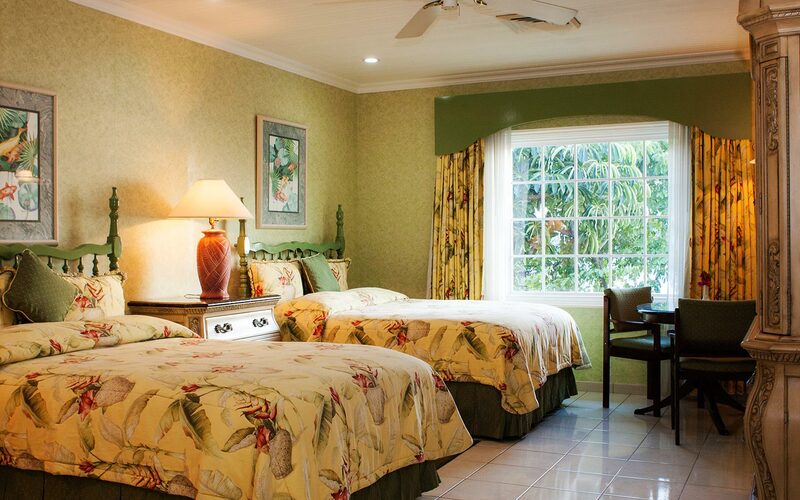 $35.00 per night for each additional person in room. Payment: Visa, MC, AMEX, Discover, Cash. No Pets are allowed on the property apart from those already residing here.. 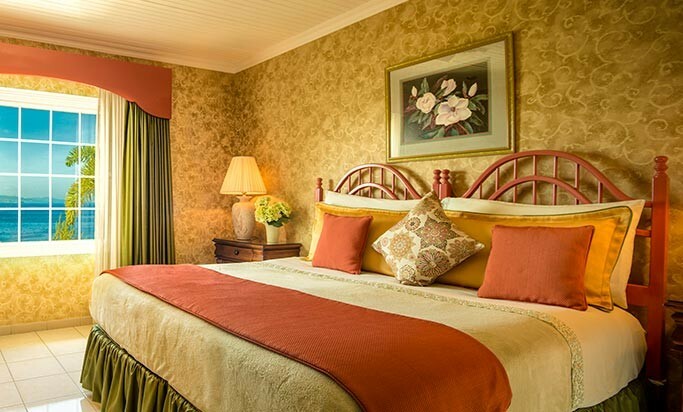 Minimum Stay: 3 Nights Minimum Stay Required (Please call us directly at if you require a shorter stay and we will do our best to accommodate you). 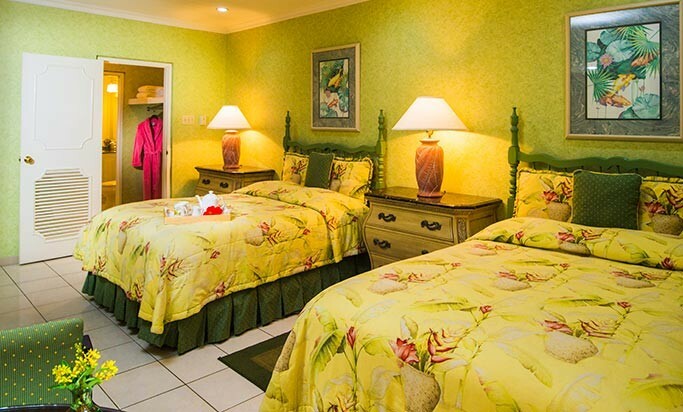 Cancellation: If we receive at least 21 days notice of cancellation we will refund your deposit less a $25 cancellation fee otherwise we will retain your deposit.